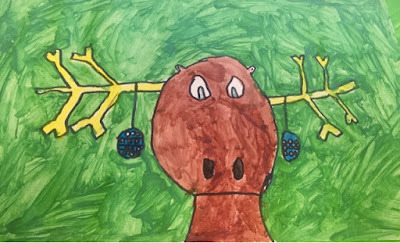 Renee was looking for something artsy to do with her 2nd grade and follow up with a writing activity for her bulletin board and the second part of this “Deer” unit. Catch phrase…just what is this deer thinking? What to buy at the grocery store? or maybe… What time the Pep Rally starts. Is he flipping channels waiting on the next Hallmark movie to come on TV? 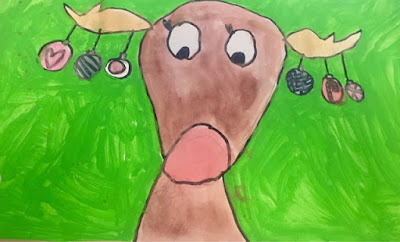 CRACKS me up and oh what a fun writing lesson this will be on these deer. I was in the midst of clean up after teaching my 6th grade art class yesterday and I got a text from “Dear Friend, Renee” – it was some what of an SOS. 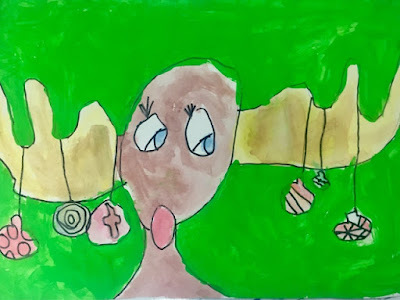 Renee: Hey, my kids want to paint the antlers beige. I don’t have beige watercolor…what do I do? You see our friendship just works. No questions asked. It just works. Point blank. End of story. 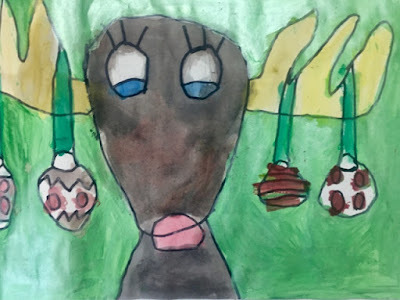 She ask me specific questions about art lessons at random times and I reciprocate the questions on many other topics on any given day at any given time. We speak our own language that only a few understand. The main thing we do is share ideas and brain storm with one another. When you find a teacher friend that is a real friend and you can share with it just makes your job so much fun. I think that is one reason 1965 and I have blogged since 2010. 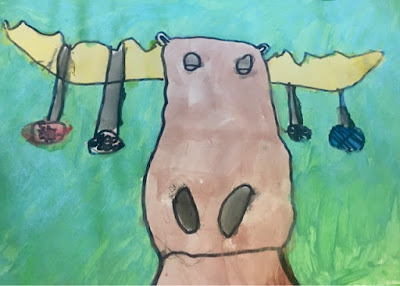 It is because we get to share with one another and connect with other art teachers and future art teachers via this blog. 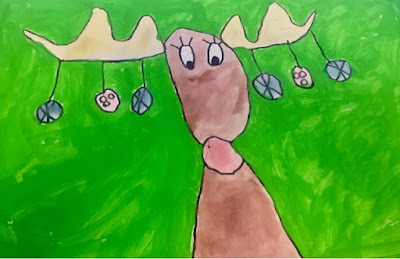 Art Education Blog introduced this project to her second grade by reading the book “Mooseltoe”. They used 18×24 white paper (when making something as large as a moose you go big or go home! 🙂 tempera paint, watercolor paint, oil pastels, glitter, and permanent markers. The kids were so excited about the the size and loved how they turned out. Visit the link above to check them out..super cute! 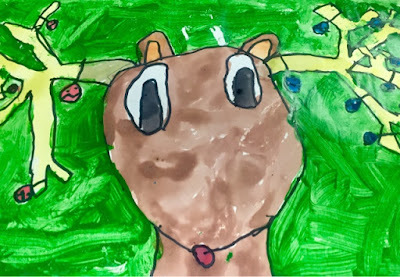 So, when was the last time you tried to draw a deer? Bust out a pencil and give it a whirl. This type of activity is good for the soul. 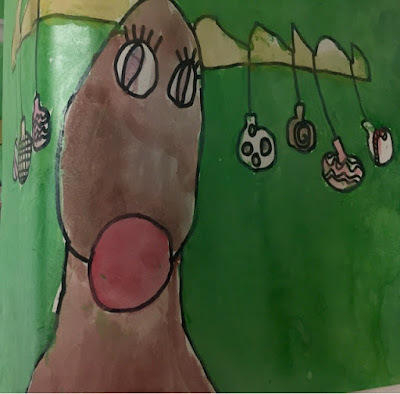 Tons of information on how to take an arsty craftsy idea and expand on it into a unit that offers many cross curricular activities. 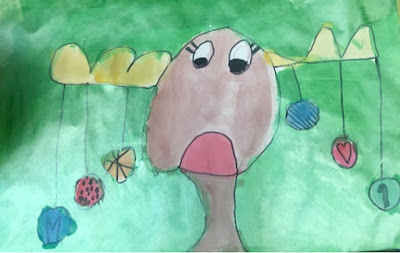 And, this just sums it up…kids that have made their own drawing video on Youtube. Pretty cool closure for this blog post. Pop Ice Cream with a Cherry on Top!